Source Soft Solutions is a renowned android app design and development company, specialized in creating user-centered, visually appealing and highly functional app designs that runs smoothly over all smartphones, tablets and other mobile devices. Our unique app design services add interactivity, aesthetic appeal and creativity to your mobile app. Your mobile app should be most advanced and innovative so as to meet all your business requirements and appeal the target audience. That’s why, at Source Soft Solutions, we don’t just design apps, we design experiences. Our only goal is make your mobile app ‘delightful-to-use’. Our skilled and certified android app designers follow agile methodologies to create the intuitive design of app for amazing end customer experience. Our apps are catered to the client needs offering broad range of features to increase revenue through mobile ready business. Why Choose Source Soft Solutions as your Android App Design Services Partner? We know design is not just about how it looks but also about how it works. Being a leading android app design company, Source Soft Solutions knows how to craft designs that users love to use. Our expert designers understand your target audience and products/services to create attractive, functional mobile app designs while improving their usability. Our dedicated team of designers research, analyze and finally carve designs that reflect your business goals as well as make using your app a fun experience for your customers. With over a decade of mobile app design experience, Source Soft Solutions has a team of robust designers who can develop intuitive and easy-to-use user-centered designs that are compatible with desktop, smartphone and tablet devices of any screen resolution. We work closely with our clients to discuss color palettes, style guidelines and layouts that showcase your brand message and fulfill users’ needs efficiently and effectively. We’ve mastered all design tools and honed our design processes to get quality results. Customers may forget what you do, but they will never forget what you made them feel. Our expert designers are there to help you create amazing designs for mobile app that will give your customers an amazing, unexplainable experience. We passionately sculpt customized designs that will make your customers keep coming back for more. With our design services, businesses not only increase website visitors but also generate greater business opportunities. Want to see how we create experiences? 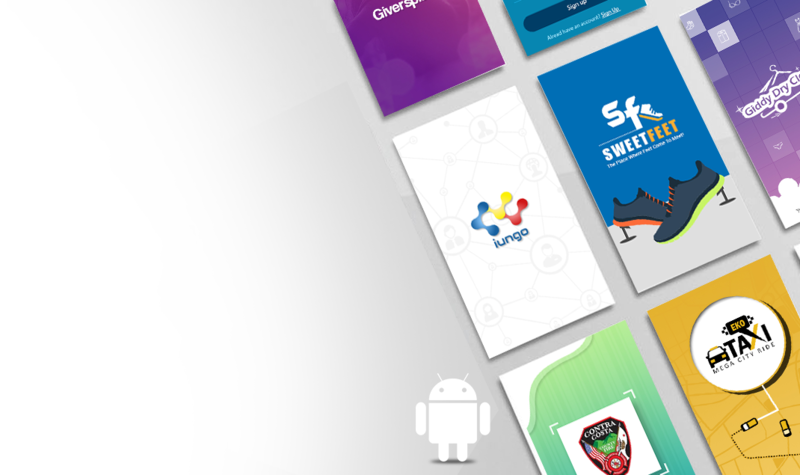 Check out our amazing android app design projects.